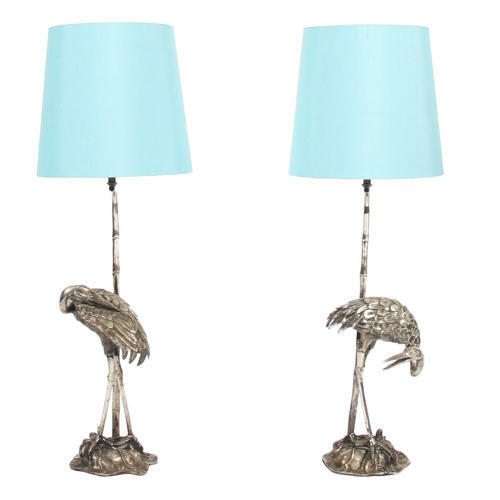 A stunning pair of crane table lamps by Valenti. Silver plated bronze with faux bamboo detail. Stamped with maker's name. Beautifully detailed casting. With naturalistic base. Rewired and PAT tested. With black silk flex. Pictured with hand made, bespoke, silk shades in the shade Haze.